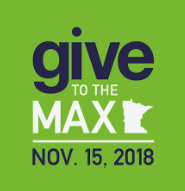 Give to the Max, Thursday, Nov. 15! Consider the Friends of South High Foundation when you Give to the Max. Your tax-deductible donation makes possible profound enhancements to the South High experience, and most importantly, ensures student access to opportunities regardless of socio-economic status!